The episode starts with shesh naag saving his and his wife’s egg, their son! shesh naag keeps the egg away. Shesh naag’s wife says get aside shesh naag, let me take my egg and go ahead. Shesh naag stops her and says no devi, don’t do this. You have been affected by some maya, come out of it and understand who you are. Devi says get aside shesh naag, don’t make me fight you. shesh naag says please devi, think! Ganesh is coming with mushak ji to naglok and says mushak ji, naglok is stated in between patal lok and earth, lets go fast. Ganesh and mushak go. There shesh naag’s wife takes the snake form and says I will kill you. shesh naag says devi don’t force me to fight you please. Devi stands tall in her cobra form and shesh naag says if I have to fight her, then my wife will be trapped deeper in mayasura’s maya and that will happen to my son too, he is not yet born and then even he will be trapped in the maya. Shesh naag runs and he takes his huge cobra form and stops his wife. wife says leave me shesh naag. All cobras there are unconscious from the maya of mayasura. Shesh naag stops his wife and starts taking her away from naglok. Mayasura makes a plan and he starts playing an instrument to take control of shesh naag’s wife. shesh naag comes down as his wife is taken under control, he says my egg is in danger and even my wife is controlled by maya. What do I do? Shesh naag then prays tp ganesh. Ganesh lands in naglok on mushak ji. Shesh naag is again confronted by his wife and he remembers his wife saying if anything happens then protect our egg before anything else. Devi takes the cobra avatar and shesh naag runs to protect the egg. Mayasura controls devi using the instrument. Shesh naag takes the egg and flies in the sky to save it, he says I will come back to save you devi. Shesh naag says ganesh ji, please help me it is time to fulfill your promise to protect the world. Prabhu please save me, it is on you to save the cobras and my wife and egg. Shesh naag starts praying to ganesh. Mayasura keeps playing his instrument. Ganesh follows the voice of shesh naag and on mushak ji, he meets shesh naag. Durgamasura there prays to tamsik mata and says jai mata, jai jai tamsik mata. Durgamasura sacrifices his hands again as his hand comes back, he cuts the hand again and laughs. Ganesh says shesh naag ji don’t worry, I have a way to help. Mata durga guides ganesh and says ganesh it is time to take your new avatar, the divya avatar of Lambodar. Ganesh goes with shesh naag to nag lok and as the egg cracks, shesh naag’s son appears. Ganesh stands tall and takes his divya lambodar avatar as shesh naag’s son surrounds and covers ganesh and completes the form of ganesh. Mahadev says this lambodar avatar shall have the power to fulfill all wishes of the nag’s. ganesh says shesh naag, by the boon given to you, I have taken the avatar and I will go and release all nag’s and your wife from mayasura’s maya. Mayasura is confronted by ganesh’s lambodar form and ganesh uses his divya presence. Shesh naag’s wife is about to fight ganesh when mayasura’s maya is lifted from her. Devi comes to shesh naag and he hugs her, she says I am grateful our son is well and fine. mayasura says I am a great and powerful demon, look at me properly. Mayasura tries to take control of ganesh but he is hexed by ganesh into believe that he himself is a cobra too. Mayasura is shocked. Precap: Ganesh fights mayasura. Mayasura goes to brahma lok and uses his maya on brahma dev and devi saraswati. 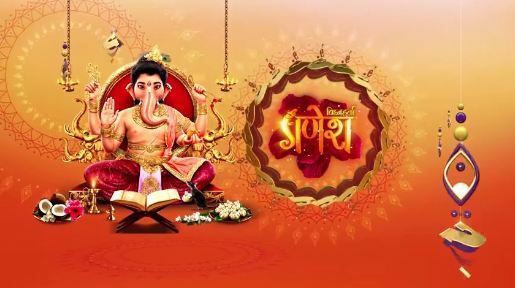 The post Vighnaharta Ganesh 7th March 2019 Written Episode Update: Ganesh takes lambodar form. appeared first on Telly Updates.